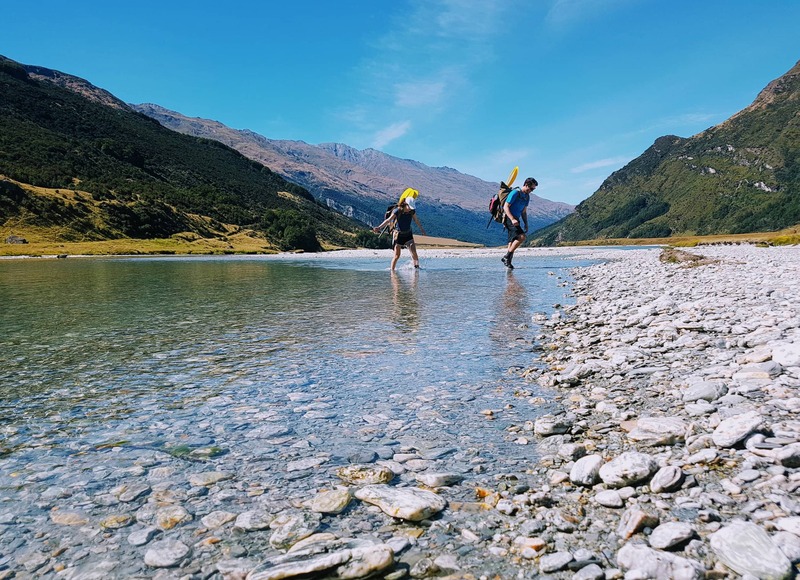 We head high into the Rees Valley, exploring the source of water which laps at Queenstown’s shore. Waterfalls, mountains, and wide open valleys – we’ll see it all. 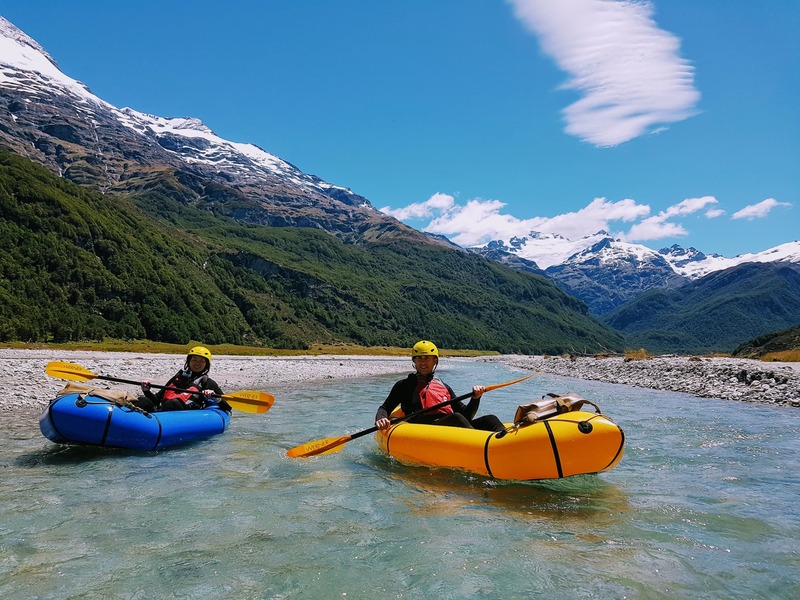 Stir in a of couple hours of walking, an alfresco picnic, and six kilometers of river paddling, and you’ve got the perfect recipe for a classic, wholesome adventure. The morning begins with a drive along the shore Lake Wakatipu, a stunning journey all by itself. Then with a brief coffee stop in Glenorchy, we continue all the way to the end of the road. We commence our walk on a Department of Conservation track, before leaving this beaten path and cruising up the river flats. It’s unlikely that we’ll see any other people, but we will share the valley with the deer, cattle and sheep who spend their summers on this working high country station. We know that refuelling is half the pleasure of exercise, so we’ll carry a hearty picnic lunch to keep us going. And what better place to enjoy it than underneath a 175m waterfall – picture perfect! Then we’re off on the downstream leg. The Rees River is a combination of gentle grade-1 rapids and flat, flowing stretches. There’s plenty of opportunity to snap photos, or just lie back and gaze at glaciated mountains. Still fizzing from this jam packed day, we’ll bundle into the truck and whizz back to Queenstown, just in time for dinner. A great day out into the peaceful country side! We had a wonderful day hiking through the the Rees valley and then floating down the Rees river. Lunch was delicious and in a beautiful setting. Our guide Hugh was very knowledgeable about the area and took great care of us all. A great day out into the peaceful country side!